These wonderful pastries were the inspiration for us in learning about croissant dough and mastering the methods. 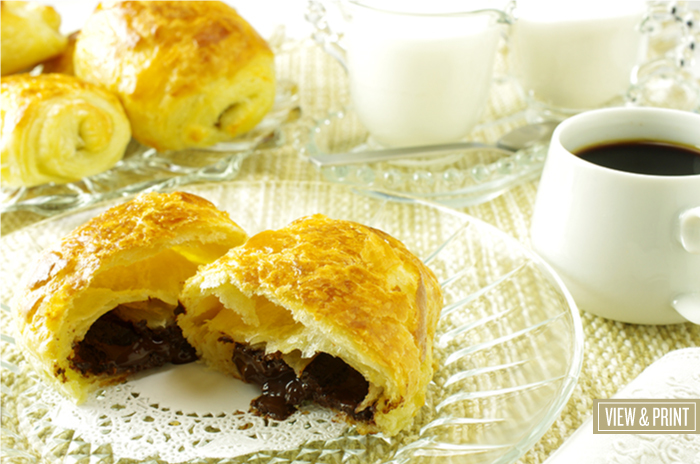 There’s something about biting into flaky, bread layers and finding a bite of special chocolate in the middle. The process is the same as basic croissant up to the final formation and last rising. We’ve used the classic shape of a rolled rectangle for the version presented here. Serve them warm with your favorite coffee or tea. 16. 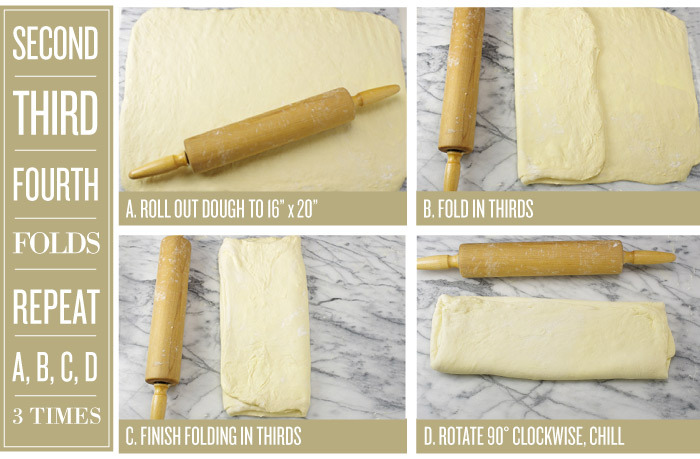 REMOVE the well-chilled dough from the refrigerator and ROLL out into a rectangle, 16 x 20 inches. Cut the rectangle in quarters. 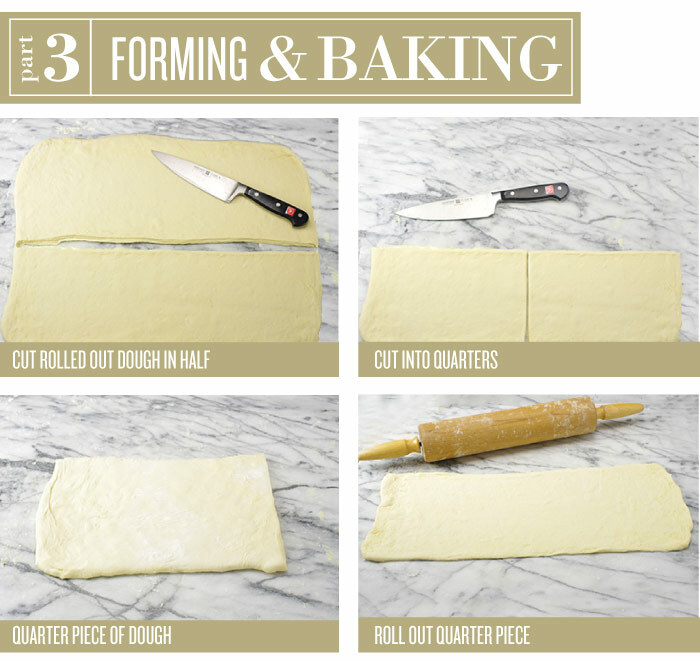 Working with one quarter of the dough at a time, roll each quarter into a long rectangle, 7 x 18 inches. 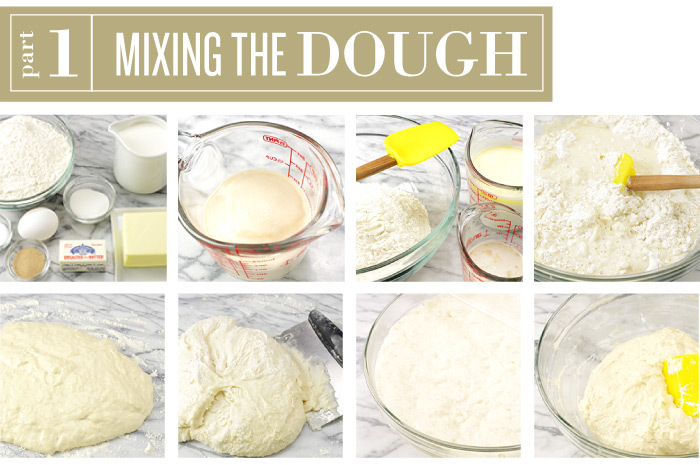 (Chill the other pieces while working each dough quarter). 17. CUT the rectangle into 6 strips, each 7 x 3 inches. 18. PLACE about 1/2 ounce of chocolate broken into chunks at the end of each strip of dough. 19. 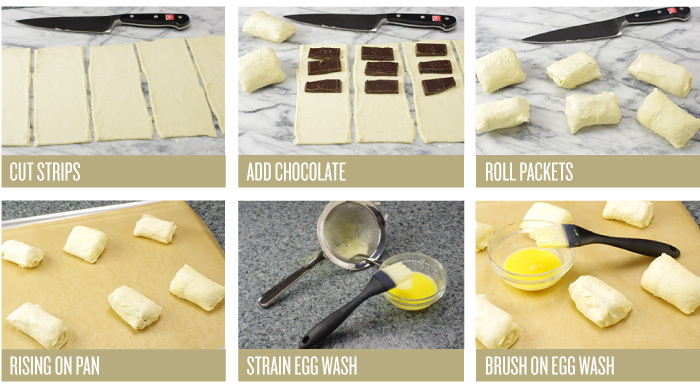 ROLL the strip of dough pinching the sides together encasing the chocolate inside. 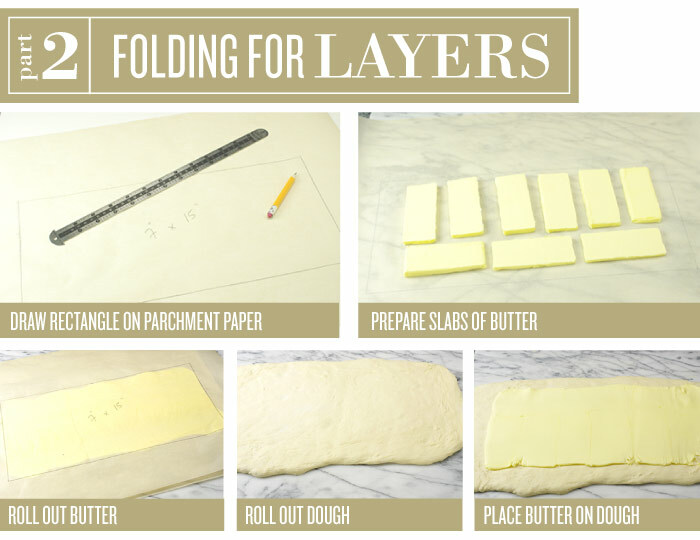 Place the rolled dough on a baking sheet lined with a baking mat or parchment paper. Leave a generous amount of space between the bundles; they will expand during rising and baking. Repeat with the remaining dough using additional baking sheets. 21. APPLY an egg wash, (1 egg beaten with 1 tablespoon water), gently to the surfaces of the croissants just prior to baking. This will lend a nicely glazed surface to the baked product.